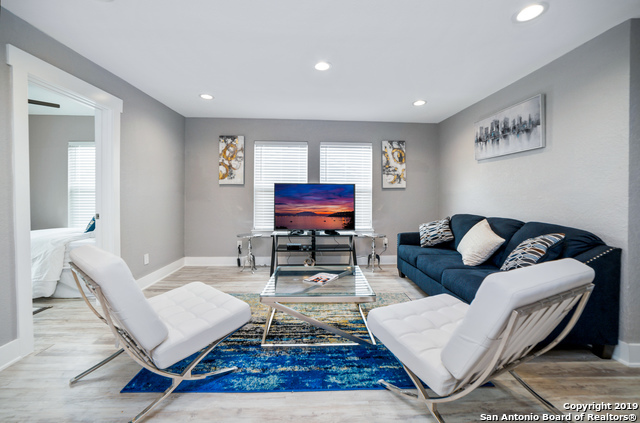 All HIGHLAND PARK homes currently listed for sale in San Antonio as of 04/22/2019 are shown below. You can change the search criteria at any time by pressing the 'Change Search' button below. "Walk into mid-century elegance. 2 story, 3 bedrooms, 2 1/2 baths in HIghlnad Park Estates. Large corner lot with park like feeling. Virtual citrus grove in the back yard. Wood floors through out. Exterior has 100% Hardy Plank siding, aluminum shutters and a practically new rood. The interior of the house looks like a model home from the mid-century. Attention to detail inside and out! 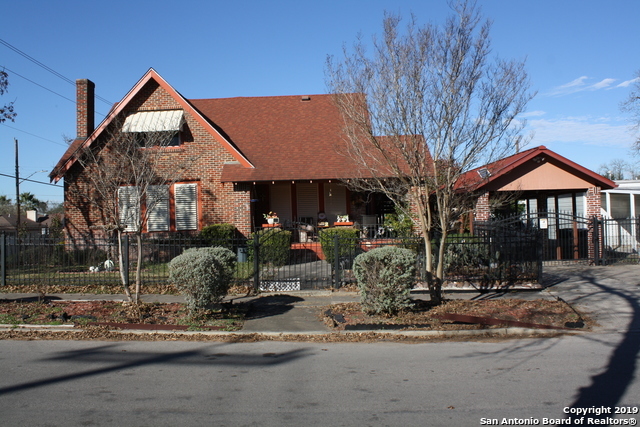 Close to Downtown, Southtown and the Pearl!" "Investment opportunity or your dream home!! Great location near Downtown with a spectacular city view, completed remodeled, complete insulation, foundation, electric, roofing, windows, siding, decking, plumbing, and all entire exterior walls and subflooring restructure, french drain, etc. New floor plan, ultra-modern European Style design, custom transitional kitchen, quartz Carrera canter top, new appliances, and fixtures." "Basically a new house~3 bedroom, 2 full baths plus an office~taken down to the studs and replaced with new: wiring, plumbing, drywall, paint, HVAC, cabinets, granite and appliances~Also, roof, windows, vinyl wood plank flooring~The fresh and crisp farmhouse decor in the light neutral greys~ House is located in the Veramendi Elementary, Oak Run school district~ Would make nice second home convenient to Schlitterbahn (2.5m) Land Park, golf, Wurstfest (2.5m) Downtown and Farmer's Market (3m) shoppi"
"88 years of history with 100% of the modern comfort. 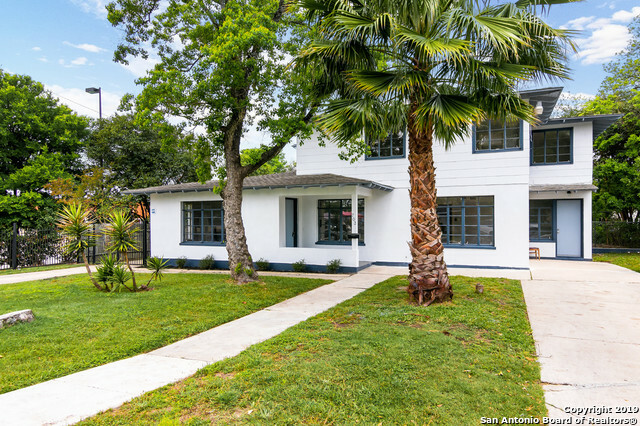 To live in Highland Park is a San Antonio honor. Tudor-inspired, this home preserved the original 1930 roofline, fireplace tilework, and even a vintage bedroom doorknob. Everything else has been newly updated. From stainless steel appliances (included with purchase), central air & heat, 3 full-sized bathrooms, and privacy fencing with a heavy-duty steel gate. Enjoy movie or game nights in the uniquely converted attic upstairs. Own a little his"
"Come take a look at this Highland Park beauty. Bring all of your big families to check this one out. Walking distance to schools. So many options with floor plan. Downstairs office could be an additional bedroom and large bedroom up could be used as 2nd living space or media room. Play house and detached 2 car garage in back of gated driveway." "House BEAUTIFUL ** Room for ALL in this 4bed/3 full bath, refurbished HISTORIC CHARMER from 1930** LUSH WOOD FLOORS everywhere ** GLEAMING NEW kitchen and 3 FULL BATHS w/ FANTASTIC DECORATOR FEATURES you will have to see---The MODERN mixed w/ OLD WORLD Charm** 2 COZY fireplaces ** CRAFTSMAN STYLE is gorgeous in serene Highland Park Estates**LARGE AUX BEDROOMS*"
"Meticulously renovated Highland Park Home. Home conserves original hardwood floors, quartz counter tops and brand new appliances. This 1 story home has a split bedroom layout with an extravagant master suite that has exterior access. The 4th room also could be used as bedroom,playroom or home office and has a custom wallpaper design on the ceiling. Close to IH-10, minutes from downtown, Riverwalk, Southtown, Pearl Brewery, AT&T center and the Alamodome. 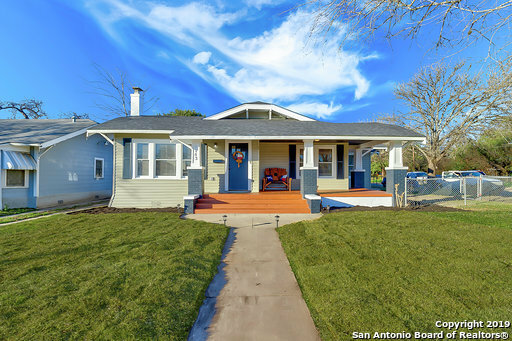 Come and take a look at this beautiful pr"
"Gorgeous Historical Storybook Home nestled in Highland Park Estates (one of the San Antonio's hotspots on the rise.) with and BONUS HOUSE in the back!! 4 Bedrooms* 3 full baths*Open Floor Plan*Laminate floors*Update kitchen w/butcher block counter tops*New Low E window Installed*High Ceilings* Spacious Bedrooms*Mature Trees* Convenient to shopping, Missions World Heritage Sites, parks, highways, Brook City Base and just minutes from Southtown, Museums and Downtown. Call now for a showing"
"Newly Renovated Home looks like a model! Very Large Master Suite added to back of original home. Refinished Hardwood floors and new ceramic tile thru out home. New roof, Painted inside and out, modern appliances, gas cooking, heating. Dual Pane Windows, covered front porch and cute touches throughout home. Garage in back has one bay door, but large enough for two cars plus a work area. Garage has power run to it. Covered parking on side of home." "Newly renovated ninety-year old American Craftsman styled home nestled in sought after Highland Park! Great location to Downtown, The Pearl, Southtown, & AT&T Center. Vintage doors and hardware with the modern touches of a redone kitchen w/ all stainless steel appliances & all remodeled bathrooms. New energy efficient windows and renovated foundation!! Gorgeous stripped & polished original wood floors throughout make this home a true gem! See it today and own a piece of history!" 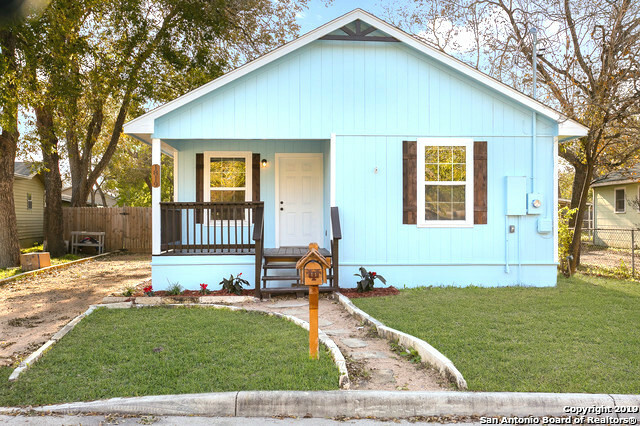 "So much space in this charming 3 bedroom, 2 bath home located in Highland Park. Features include hardwood floors, wood burning fireplace in living room, and a cedar lined closet. Built-ins in formal dining room. Spacious master suite with updated bathroom. Fenced-in backyard with deck and retractable awning. Located just minutes from downtown. This one has tons of potential, you won't regret viewing!" "PRICED TO SELL!!! Amazing deal for a 3/1. 2016 Tear down and rebuild per previous owner. New house with recently added modern updates. 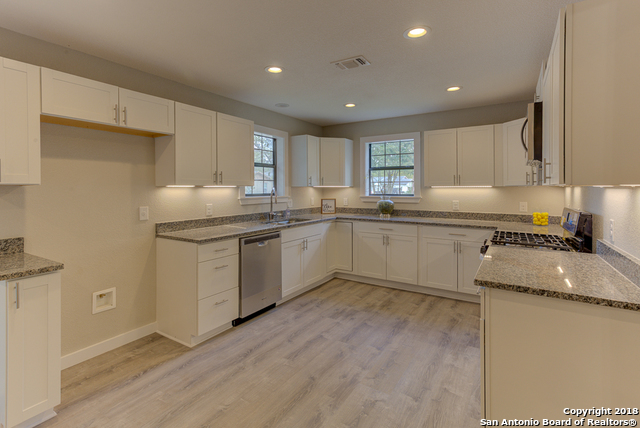 Modern updates include new flooring throughout, new light fixtures, redone bathroom, granite, tankless water heater, water softener and much more, the list goes on. 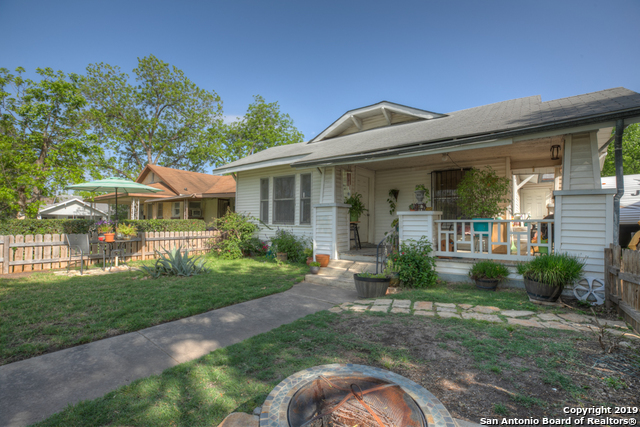 Lovely front porch, fresh paint, craftsman features contributes to the amazing curb appeal. Open floor plan and large deck makes this house perfect for entertaining. Turn key ready for your buyer." "Property has improvements; New metal roof (5 yrs old) new windows (5 yrs old) enclosed family room, recent new flooring, small study/office at entry; central air/heat; new water heater; large kitchen w breakfast area; 2 family rooms; large workshop garage, large lot with room for RV or Boat. Property needs new TLC; plenty parking for large backyard entertaining. Seller motivated. Seller will consider all Offers and will consider closing cost assistance. Sold As Is." 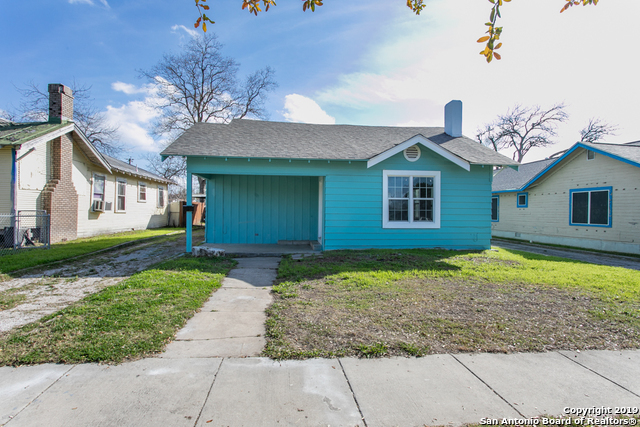 "Remodeled 3 Bedroom 1 Full Bath on Corner Lot near Downtown SA. Located Minutes to Shopping & Restaurants w/ Easy Access to Hwys I-37 & I-90. Int'r Features Open Floor Plan w/ Sep't Family & Dining Room. Updated Kitchen Features, Recent Cabinets, Granite Counters, Gas Cooking & SS Appliances. Spacious Master Bedrm & Updated Bath. Ext'r Features Cov'd Patio & Detached 2-Car Garage w/ Openers & Work Space. Updates Include Roof, Paint In & Out, Electrical, Plumbing Fixtures, Windows, Water Htr, HVA"
"This Home is a must see. Beautiful Home boast new kitchen cabinets and granite countertops. Freshly painted inside and out. Wood floors have been refinished. New Central Heat and air system, double pain windows and a newer roof. Ceiling fans throughout and fixtures. Detached two car garage and a separate work office or activity room." 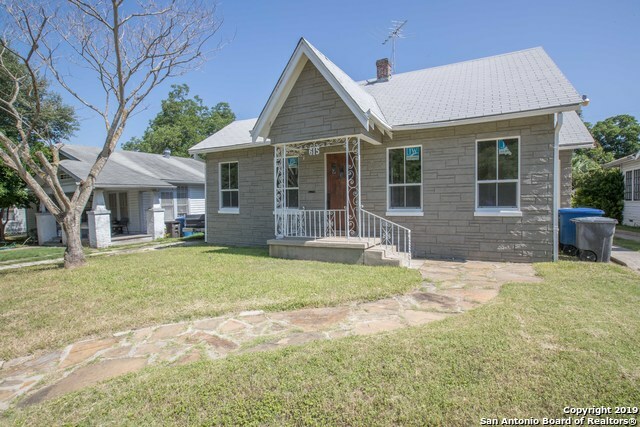 "Beautiful home in Highland Park with tons of character and curb appeal, features hard wood floors, updated kitchen and bathrooms, including granite, backsplash and stainless steel appliances. Fresh paint throughout, nice back yard with mature trees - - MUST see today !" "Beauty in Highland Park Just Remodeled with NEW GRANITE Counters, NEW Tile Back Splash, & ALL NEW Appliances. Beautifully Re-Finished REAL Wood Floors in HUGE Bedrooms ! New A/C. New Roof. Third Bedroom is just off the kitchen. Open Plan for Entertaining. 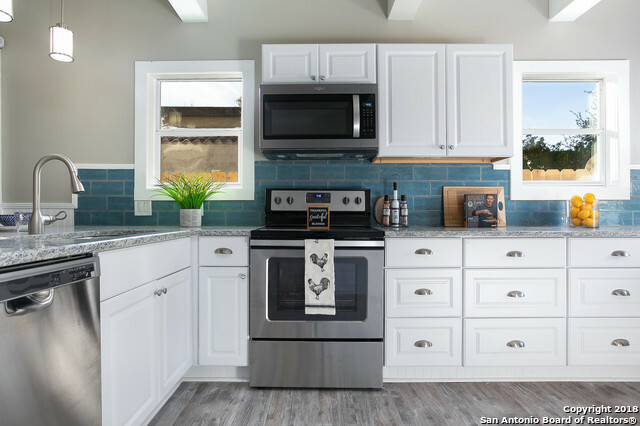 WOOD Flooring & Modern New Paint Scheme Creates 2019 STYLE! Grand front Porch with Stained Cedar Wood Post, Shutters, & Trim for great Curb Appeal ! Fresh Exterior Colors. LONG Cement Driveway leads to rear Detached Garage!! NICE Backyard. In "
"Charming turn-key home in Highland Park. With new paint, flooring & appliances, this home is move-in ready. The bright and airy kitchen has shiny granite countertops. An oversized yard provides ample space and privacy. 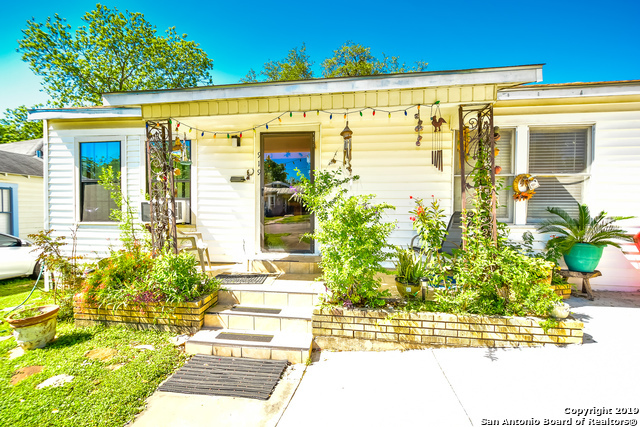 Conveniently located minutes from IH10/US90." "3/1 cottage available in Highland Park! Nice open floor plan with mock fireplace in living room. Formal dining room. Spacious eat in kitchen with lots of cabinet space. Ceiling fans in each bedroom. Window units throughout home. Fully fenced back yard with mature trees that provide tons of shade! Detached 1 bedroom garage apartment perfect for rental income! This property has so much potential!" 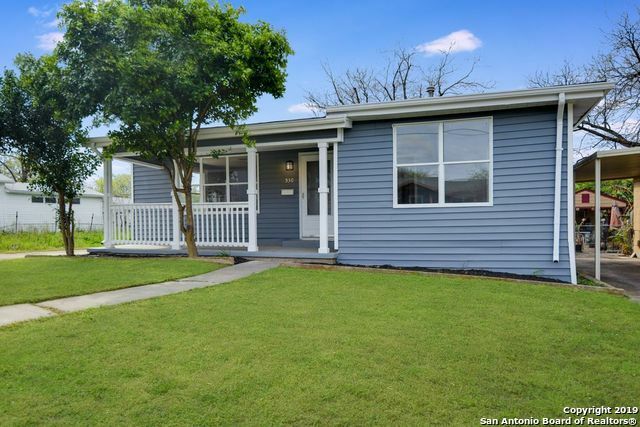 "Looking for a 2 bedroom 1 full home? Come see this home in the E. Highland Park subdivision area, This is a 1.116 square foot house that sits on a 8,000 square foot lot. It carries an open floor plan with original wood flooring. 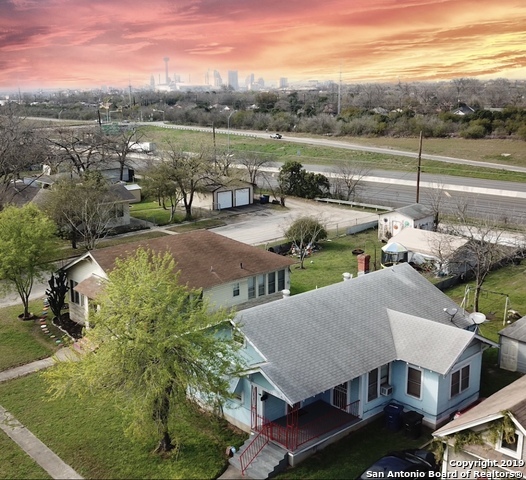 Minutes away from shopping areas, restaurants and easy access to I10 and 37.Additional photos to be posted 10/12/2019"
"A piece of San Antonio history is calling! This 1920s Craftsman in highland Park Estates has had work done (flooring, painting, roof, foundation) Just waiting on you to put your finishing touches into it and call it 'Home... The 544 SF detached quarters, with a little TLC has rental potential. It's where you want to be, minutes from Downtown, Riverwalk, Pearl Brewery, South Town, AT&T Center, The Alamodome, blocks from Park W/lots of amenities. Not to mention easy access to major highways." "FIXER UPPER or FLIP POTENTIAL! 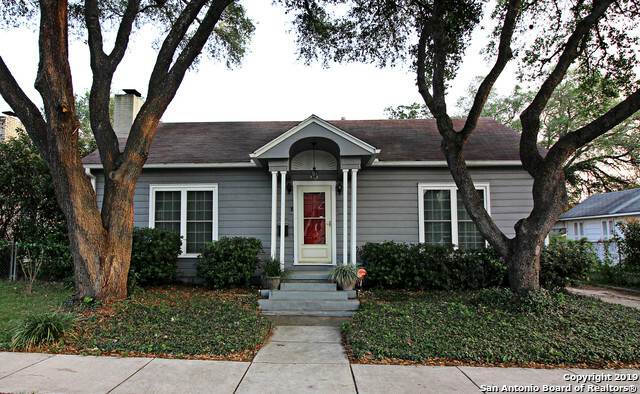 3 bedroom 1 bath home in Highland Park Estates (one of the San Antonio's hotspots on the rise. 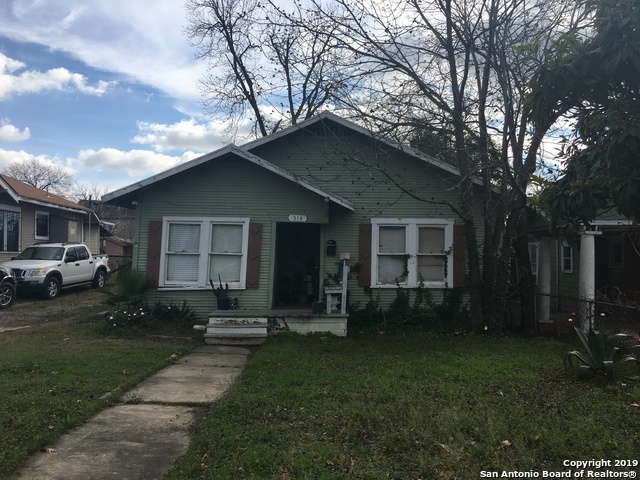 )*Central Air*Metal Roof *Original Hardwood floors*High Ceilings*Spacious Rooms*Convenient to shopping, Missions World Heritage Sites, parks, highways, Brook City Base and just minutes from Southtown, Museums and Downtown. Just needs a little TLC. Your buying it cheap! You can move in and work on it little by little. Call now for a showing!"